and made a rhubarb pie. Who lives the exciting life? well most, of my annuals planted! aren't going to make a nest in any of them. and the wreath on the front door (sigh). What can I say? I have an inviting home LOL. We had another tie for most viewed last week! shared her awesome gluten-free flower-pot cupcakes. you can buy gluten-free cake mix?? 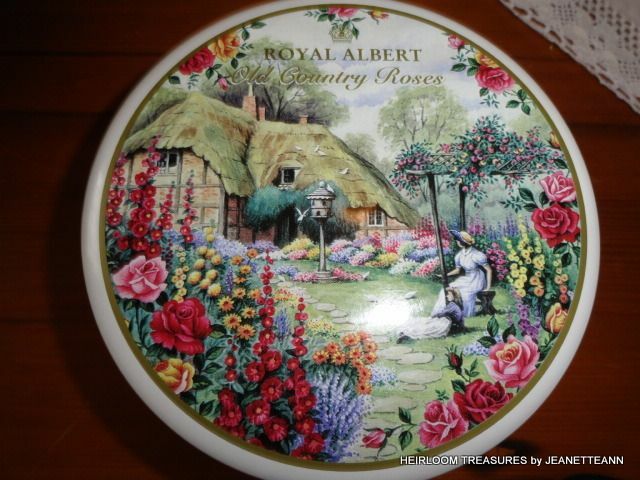 lovely vintage tin collection and thrifty finds. my 100th post giveaway ? I am giving away a Ramsign sign!! It ends on Wednesday May 23rd! 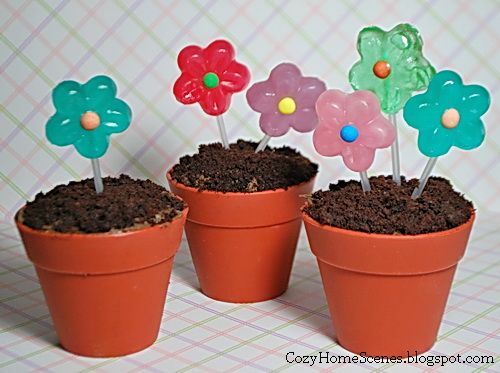 Cute flower pot cupcakes! I just today noticed you had this party Kathe! I am not a fan of that new reader on our dashboard. I am missing a lot of stuff in it. Thanks for hosting! Yep- I am here--- and the HOTTEST Party Ever! Thanks for Hosting Kathe- love those cute features up there! Always a good time when your hosting!! Hi Kathe...Thanks for the feature and for hosting. The GF cake mix is usually on the top or bottom shelf with the regular cake mix or on another shelf with the GF free. It's easy to miss if you aren't looking for it. The recipe can be made with regular cake if you don't need GF food. Have a great night! Thanks Kathe! Wow, doesn't that peach tea look amazing! oops, I linked with you in my post but when I came over to link up with you here, I see you don't want giveaways to link. I will go back and remove your link. Hi Kathe! Thanks again for hosting! And Oops! So sorry I linked up my curb appeal revamp again .. didn't realize I did it last party! Have a great week! Hi there, I just found you blog from a blog hop! And, to my surprise, you have a linky party, which I just linked up with. Cool! You are on my "list" now. And...I just became your newest follower, yay! Would so appreciate if you would reciprocate and follow back. Thanks so much! By the way, I am a "fellow" gardener myself. I find gardening so therapeutic! Hi Kathe, Thank you for hosting the party. Hi Kathe, so very nice to meet you. I am your newest follower and i have joined your fun party. Shannon's cupcakes are wonderful and I always appreciate vintage collections. I hope you come and visit. Sorry I am a day late and a dollar short for this party! I have been kind of dingy lately, really busy, and just forgot. I will try not to be so rudely tardy next time! Nice to read for flowers. I need to buy Web hosting from elcoplanet.com or www.hostpator.com have any of you heard about www.elcoplanet.com or www.hostpator.com? I can see that they have pretty much cheap prices and they offer good capacities of hosting and bandwidth also I can see that they offer very low prices on reseller hosting plans and Master and Alpha Master resellers ..